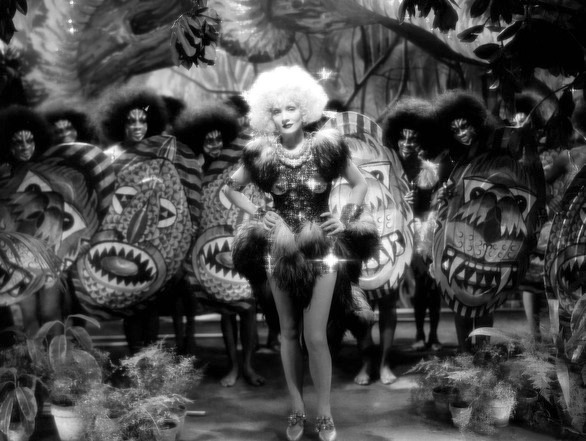 The chorus of girls who accompany Dietrich in the number enter from the audience’s left, as the number begins, decked in sequined leotards, feather tutus, and otherwise equipped and adorned in pseudo-primitive-tribal style. They carry spears and painted shields, and wear large Afros (hairstyle) and heavy “tribal” face paint, the latter giving each face a mask-like appearance. They are barefoot. A gorilla is being led by them on a chain. Brilliant so far. 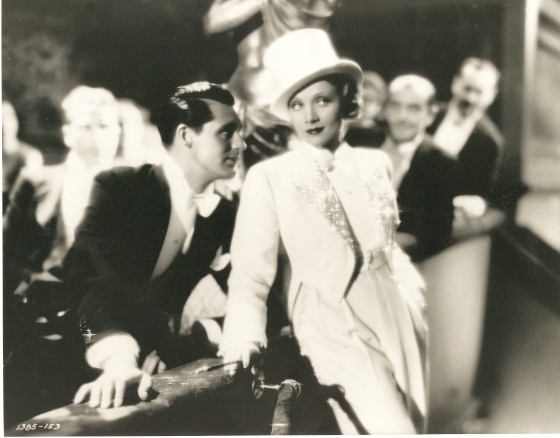 Unfortunately, following a brief pause in the music (2:19) that elicits applause, Dietrich begins to remove her gorilla costume. 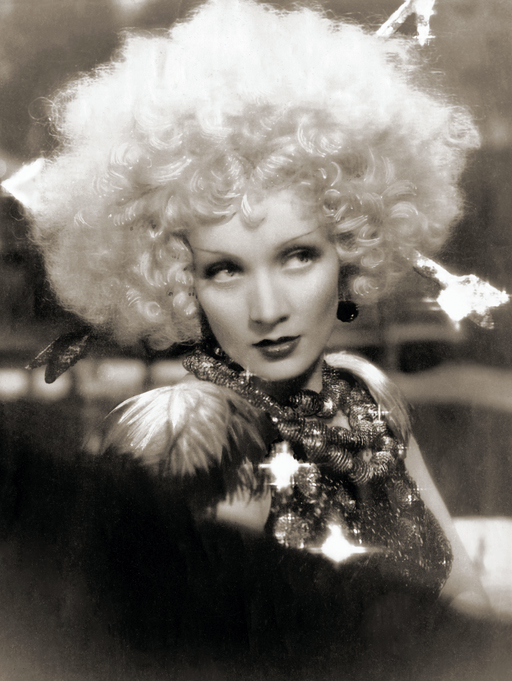 After removing the head portion of the gorilla costume, Dietrich dons a blonde Shirley Temple-goes-Afro wig, which has the point and feather ends of two arrows stuck in it, arranged to give the appearance that the arrows have gone completely through the head. Ha ha. She then removes the rest of the ape outfit to reveal a glittery, heavily sequined and ornamented costume, featuring metallic breast shields and festooned with tufts of ostrich feathers about the shoulders and hips. Some of the photos above reveal that, unlike the chorus girls, who are barefoot, the star wears a pair of pointed, low-heel pumps. 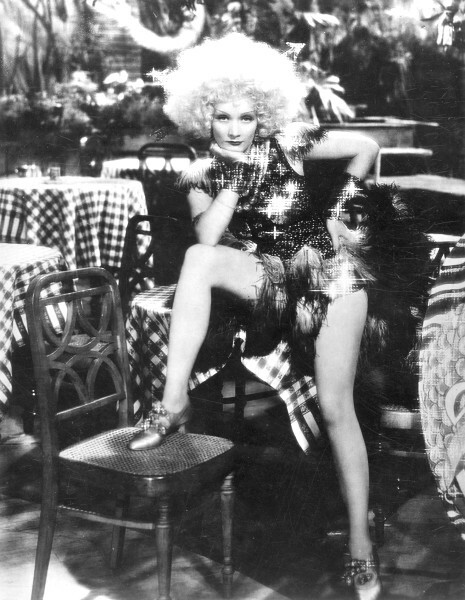 Removal of the gorilla suit not only uncovers the clown outfit underneath, but it enables Ms. Dietrich to “sing,” which she commences to do. You’ve been warned.